TAPSTAK becomes a member of the CEIA. Having helped in the development of the sySTEM App developer competition which ran a very successful pilot program in the past academic year, TAPSTAK has recently become a member of the Cork Electronics Industry Association. 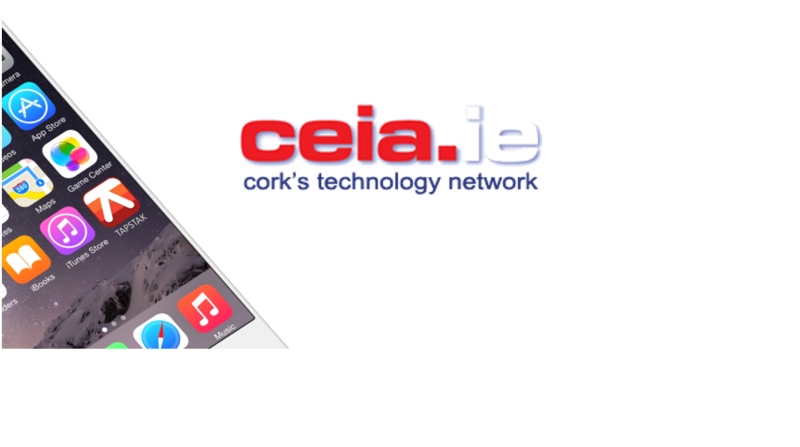 The CEIA is a not-for-profit organisation made up of industry representatives whose aim is to support and grow technical employment opportunities in Cork. Representing High Tech companies in the Cork region and working in accord with the Industrial Development Agency (IDA), Enterprise Ireland, the Cork Education & Training Board, (formerly FÁS), the Cork Institute of Technology and University College Cork, the CEIA ensures a sophisticated technological infrastructure is in place to enable the industry to grow and prosper. Since the CEIA was founded in 1984, the organisation has primarily focused on lobbying improvement of the infrastructure of the region and to nurture growth. It is an active and intimate network for senior business leaders in the Manufacturing, Supply Chain and Technology arena – providing regular Business Briefings and networking events for the Tech sector while promoting STEM to students through collaboration with members and educational institutions. The sySTEM App developer project is a fantastic initiative developed and organised by the CEIA as part of their outreach, skills and education program. Run over 10 weeks with the student teams attending workshops on different aspects of the app development process from technical to sales and marketing, the aim was to engage Transition year students in IT development to make IT, STEM and Engineering career options exciting and interesting. TAPSTAK’s COO Michelle Donovan was thrilled to be asked to sit on the judging panel for the final presentations in CIT. The standard of work presented was very impressive and it was really clear that the students had learned a lot and had really enjoyed the process. TAPSTAK is delighted to become a member of an organisation that is working to promote the technology industry in Cork and also nurturing the future of technology to promote growth in the sector. We’re looking forward to becoming more involved in the organisation over the coming months.